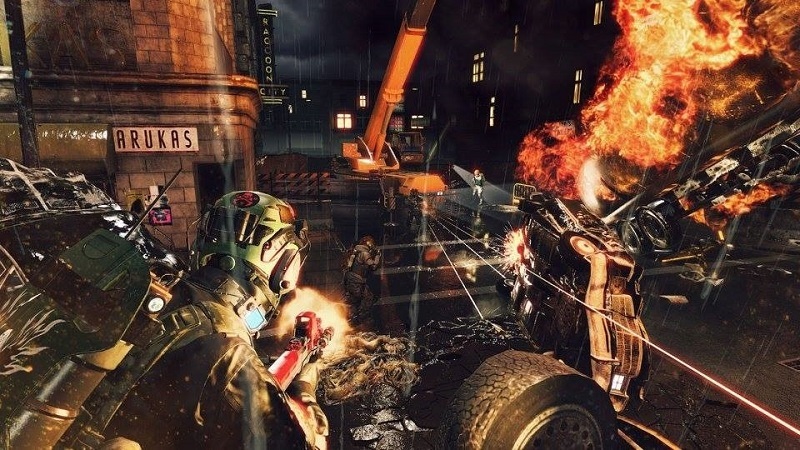 You may ‘Umbrella Corps’ not the game ‘Resident Evil’ who are looking forward fans of the series. Still Capcom is trying to sell their product as best you can and that is why we have released a new trailer with action to give and take in which show different game modes which will not be particularly few, well suited for single player and others dedicated to multiplayer. However, what stands out in this new video are several sequences of gameplay, it is that it shows us two new scenarios that appear in the game and that will appeal to all those who have enjoyed ‘Resident Evil 2’. The reason is because new maps have been added as the police station and the streets of Raccoon City. The setting for the popular city will be full of open streets shaped maze and in which there will be a sewage system to make it more difficult to locate opponents. Meanwhile, the Commissioner has barricaded in their aisles with it will be easy to cover the shooting, but the rooms are large enough to force players to face melee. ‘Umbrella Corps will be available on June 21 for PC and PlayStation 4 and only be released in digital format. You can also make you with your Deluxe edition which will include the Upgrade Pack, which offers new skins, weapons, custom colors and masks of some characters iconic as Leon S. Kennedy, Hunk, Albert Wesker and Chris Redfield.